Something happens when the sun comes out that makes us break away from our everyday style and experiment. Check out these next-level wardrobe essentials that will take you through the summer of 2016. The must-have looks, inspiration, and shopping picks for summer style. From satin to silk, summer 2016’s lingerie-inspired slip dresses are too good to cover up. This dress type is quintessential 90s thanks to Kate Moss who made this look iconic. The other stars who inspire us to pull it off Michelle Pfeiffer and Elizabeth Taylor. Check out this ethereal dress by ASOS Collection made of smooth satin fabric with V-neckline and lace inserts. Want to channel you inner J.Lo? Try brow bar sunglasses inspired with retro styles. Thanks to the gold-tone bar across the front of the model, these sunglasses will add an old-school elegance to your summer looks. We recommend stylish sunglasses by Dolce & Gabbana. Featuring coloured frames with brow-bar detail, these sunnies have gradient tinted lenses and branded arms with curved temple tips for a secure fit. Who said you can’t wear metallics from day to night? The good news is that this season’s best looks are dripped with liquid shine. Metallic trend comes in the familiar form of comfortable sneakers with the eye-catching look but also in some other, unexpected forms. 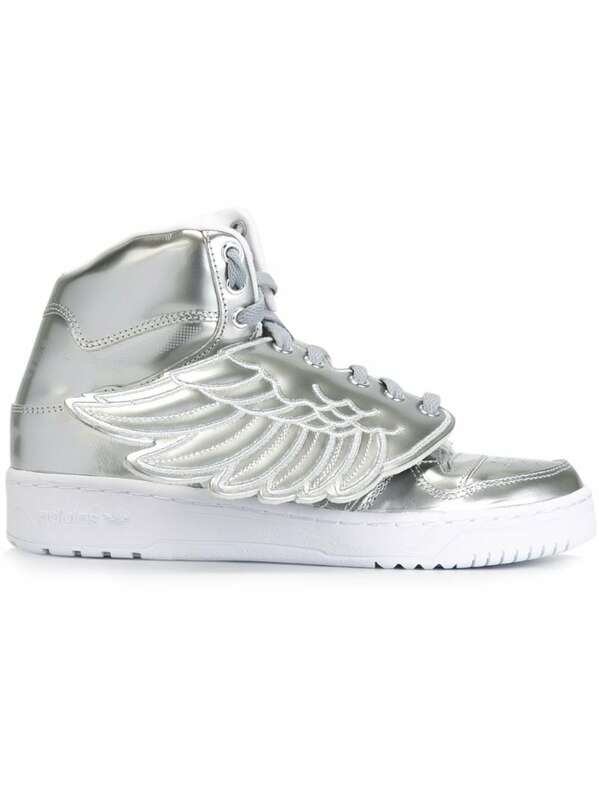 To pull off the trend, try these silver-tone leather Adidas Originals x Jeremy Scott ‘Wings’ sneakers. The one-of-a-kind sneaker features a round toe, a white rubber sole and wing applique detailing. Obsessed with the saddle handbag trend, hipster chic boho lovers? Try this one! Coach gives their classic bag a boost this season with the equestrian-inspired silhouette. 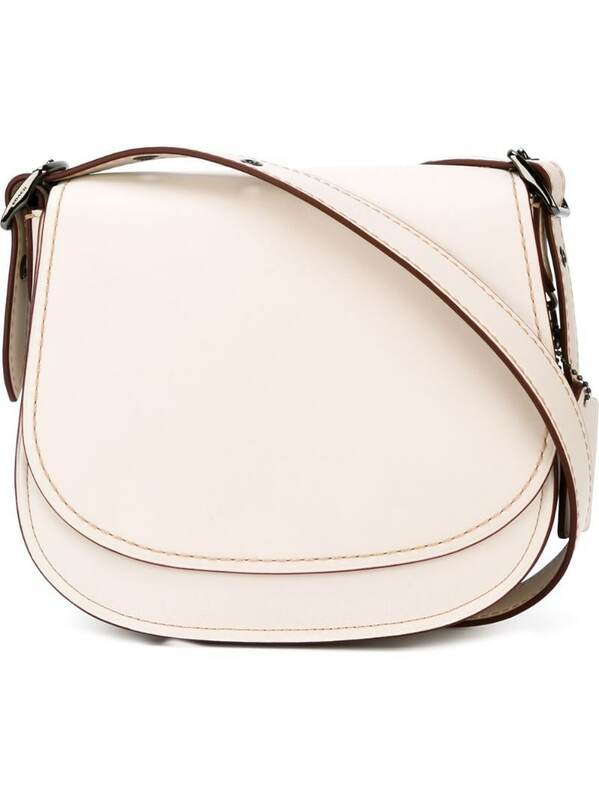 This comfortable, saddle-shaped accessory features a 100% white leather body. Carry it from the long shoulder strap to elevate your daytime ensembles. Summer sale is on and in many places (including Zara) you should be able to find a wow-factor bomber jacket with a bold print. This season’s hottest jacket is lightweight, satin, athletic, or varsity-style. We totally fell in love with this printed bomber jacket by Adidas Originals featuring a beautiful silky-feel fabric, mesh lining and a ribbed collar.